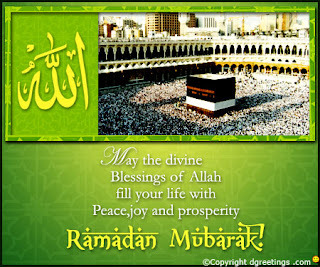 The holy festival of Muslims, Ramadan is celebrated all over the world. The month of Ramadan begins with the sightings of the new moon. This time calls for fasting among Muslims. Ramadan is the ninth month of the Islamic Lunar Calendar. The name ‘Ramadan’ is said to have the implications: As the sun scorches the ground, in a similar way all the sins get burnt out with good deeds during the time of Ramadan. Ramadan is a month when Muslims fast for the whole month from dawn till the sun goes down. Fasting is necessary during this time and it is observed mainly to educate themselves in humility, spirituality and Patience. involve in charity during this time. It is a time to mend the broken relationships and focus on Allah (God) to guide them to the right path. According to the Islamic tradition, the month of Ramadan is the time when the God is believed to have revealed the first verses of the Qur’an to the Islamic prophet Muhammad. To honor this, it is customary to read one third of the Qur’an in each night of Ramadan during the evening prayer. The idea is to finish reciting the holy book by the end of the month. Fasting, according to the Muslims, is also a way they sympathize with the people who suffer from hunger and thirst and have little to eat every day. They devote themselves to charity to help the ones in need; they believe that the act of generosity and kindness is a way to purify their souls. Ramadan is a month when prayers are recited through night and day. The verses of Quran are recited during the evening prayers which are known as Taraweeh prayers. Visiting each other and celebrating together is a part of the custom. It is a time to strengthen unity, brotherhood and sisterhood among their communities. The fast ends with the festival of Eid ul Fitr. This festival calls for celebration and merry- making. Women at home prepare several dishes and sweets at home. Gifts are distributed, families and friends are united. The very word Eid ul Fitr is synonymous to joy and thanksgiving.